Mazda makes cars that are almost universally good to drive. From the amiable 2 supermini to the sales rep-friendly 6, Mazda’s garage is full of sweet steers. Hell, even the CX-5 mid-size essyoovee is quite rewarding on the twisties, relative to the class around it. That’s why we’re probably more excited than we should be about the news that the Japanese minnow is shoe-horning a turbocharged 2.5-litre four-pot into its second-smallest hatch. The recipe is surely about as winning as it gets. Its engineers are starting with a very well set-up base product. The 3’s chassis is blessed with fine front-rear balance, the suspension strikes an excellent mix of comfort and control, and it’s hardly an ugly pup, is it? Mazda’s Kodo (soul of motion) design guff actually has some substance to it, making it ideally suited to, say, casually adding a body kit and coilovers. It’ll be a pretty thing, without a doubt. More exotic than a Golf, perhaps, with more of a lilt towards youth and excitement than the German icon’s handsome but unadventurous lines. A hot 3 will also have all the power it needs, whether the 2.5-litre rumours are true or whether it ends up downsizing. It’s fair to expect at least 260bhp to compete in the class without the benefit of a famous badge. Speaking of badges, there’s no word yet on whether Mazda will revive MPS. It has previously said that it won’t, but clearly that promise has already been broken in spirit. 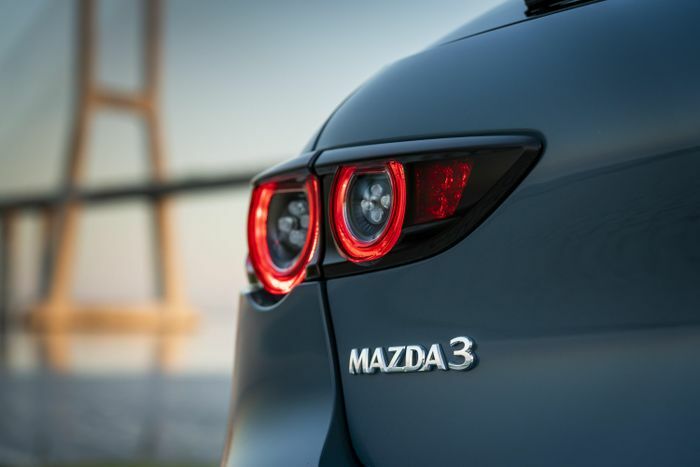 Those three letters gave us a bigly bonnet-scooped Mazda3 and four-wheel drive Mazda6 missile, both impressive feats of reliable engineering and brute force. They weren’t as rounded or high quality inside as some other options but they sure could put a smile on your face. Ironically, after ditching the MPS sub-brand Mazda’s cars have only got better and better to drive. Since adopting its massive range-wide diet scheme in the 2000s, what used to be pleasant, if unmemorable runabouts have become genuinely fizzy and entertaining options. 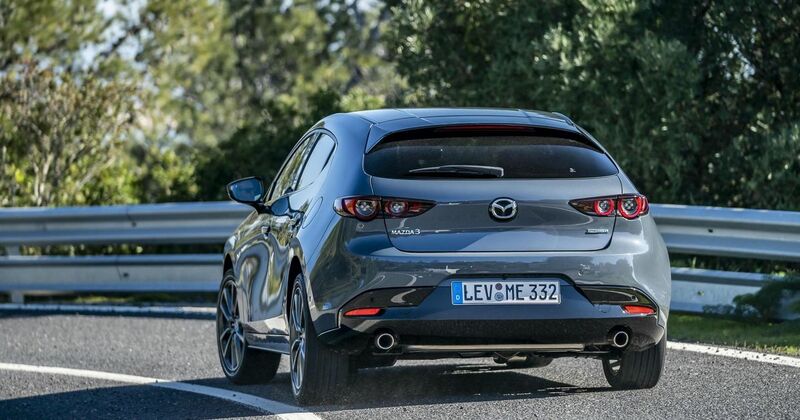 Weight loss is key to what makes a modern Mazda, and it’s another reason why the hot 3 will be a winner. We all know that weight is the enemy of fun cars. It hurts acceleration, slows braking, dulls handling and uses more fuel. More weight warrants stronger components to support it, which adds yet more weight and the cycle continues. 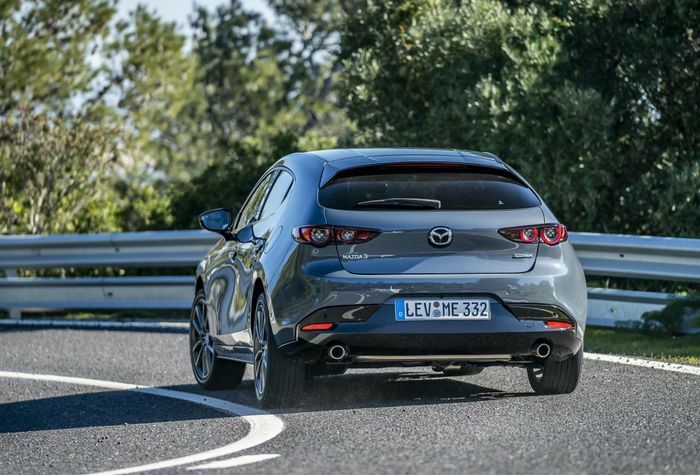 Making cars lightweight from the outset means Mazdas usually have a hint of fizz that most rivals lack. 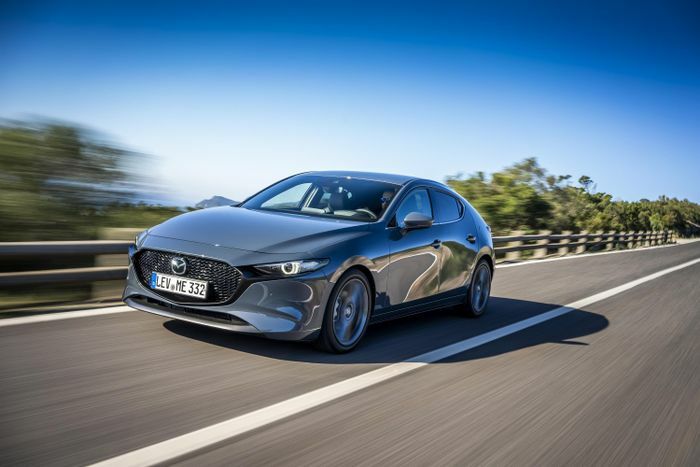 The Mazda of today also has a knack of setting steering up to feel natural but direct, connected to the front wheels without suffering vibrations or sapping your energy on a long B-road blast. 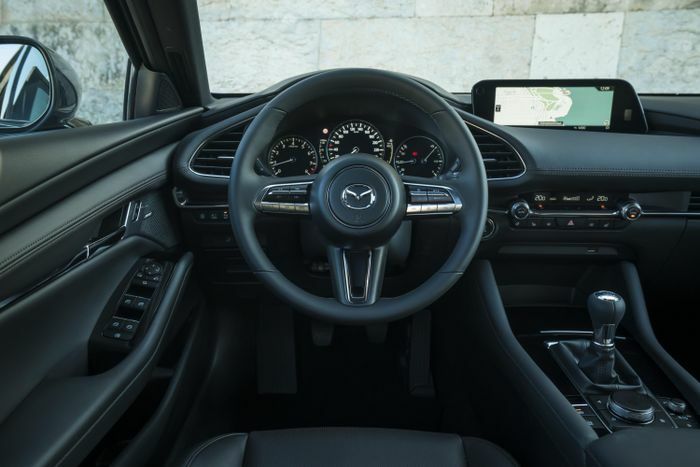 With great steering and low weight, the only thing missing from the Mazdas you can buy right now is straight-line performance. 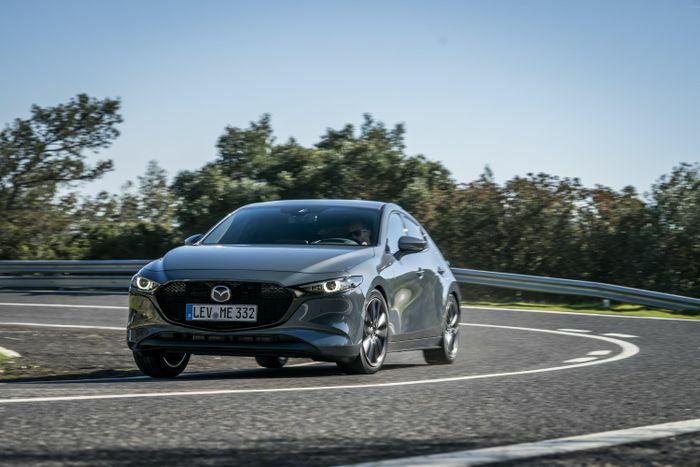 It’s not as simple as making a car powerful, but Mazda brains much sharper than ours already know that. Where the company has excelled in recent years is with creating a sense of dynamic cohesion a lot of chief engineers would murder a puppy for. We can’t wait to see what they can do when given a proper engine to work with. The next Golf GTI might want to watch its back.